Negotiating on architectural visualization price as a client can be intimidating, especially if you are not experienced. In a consumer world, we are used to paying the price on services without asking the right questions. To successfully negotiate the right price for CGI project you need to prepare yourself a bit in advance. – What are the average industry prices for projects similar to yours? – What size your project is? – What REAL deadline your project is facing? – At what design stage your project is? Let’s dive in and see what hides under these four questions. No one likes the first dates, first steps, cold calls or cold emails. It doesn’t matter if you are 3D visualization studio or Buyer, both sides suffer from the same effects when not prepared with the right questions. Clients do tend to feel more vulnerable when asking for prices. They always think that the seller tricks them into a swirl of complex technical terms and make them pay more than necessary. Getting the right price is not always an easy task. 73% of the clients using architectural visualization services think that their price is too high. They abandon the sale and look for cheaper options skipping the important negotiation step. Well, I have something that might save you from being tricked into the wrong price category, especially at the architectural visualization industry. 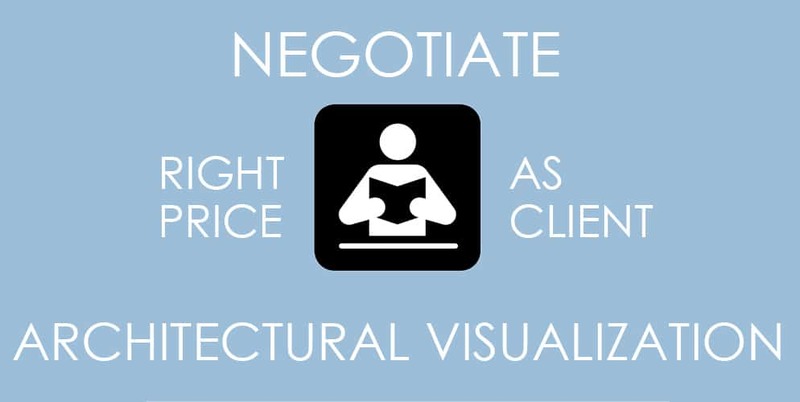 1.Rules of negotiating architectural and interior visualization prices. Knowing the essential aspects of the visualization industry can make you the best client and save you money. What size your project is? Let’s play two scenarios. First: Imagine if you think you know the volume of the work that you are submitting. You have your prices agreed. Later on the process, there is a need to increase or change of scope of the project, so therefore the rate shall increase. This will not make you surprised as you will be aware of the situation. What is your deadline? Having expectations of the length for your project or at least approximately realistic deadline is another significant factor for pricing. Having unrealistic expectations may lead to additional charges, alterations of the agreements between both parties and sometimes unknown consequences. How complicated your project is? Being aware of the complexity of your architectural or design project it is the best homework you can do. This will lead not only to the right price for your 3D renderings but will make you the best client in the expert’s eyes. Architectural Visualizers love informed clients with raised awareness and realistic expectations. At what design stage your project is? An important part that you should NOT skip. If your project is at a very progressed stage, you have most of the essential details as agreed concepts, plans, and information, the architectural visualization quotation you should expect it should be nearly at the realistic end price. On the other side, if your project is not solved e.g. at the beginning with multiple unknown factors, respectively you should get an architectural visualization quotation with approximate figures. What the average industry prices are? Doing some research won’t hurt you. Here I did an article on What is an Architectural Visualiser and seven places to find one? Which might guide you. Comparing and asking for quotes from hurt anyone, actually, it might improve someone’s services. Rule of thumb is always to mention that you are comparing services or quotes for architectural visualizations. 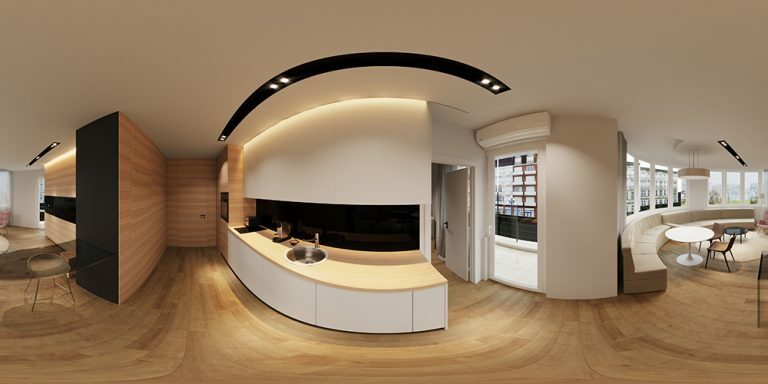 This sentence will make architectural visualizers to provide their best and most vast quote. On the other side, do not expect that someone will break their profit just because you have a beautiful building. If you follow and prepare your homework, surely you will get the most accurate price for your 3D renderings. As a smart client, you should allow the other hand to name its price first. Provide all gathered and prepared information for a quote and wait. This way you have the advance to counter with an offer that is lower or different than what you would have offered initially. Setting up an “anchor price” as a starting point is not the best way to approach an architectural visualizer. Revealing your dreamed low price can put off or even worse, might not give you the change to negotiate the right price for the right and best service. Starting with an unrealistic low price sets up the expectations of your chosen architectural visualization provider at the very bottom. Instantly indicated that you might not be their best client or that you don’t know your project. Some of the industry mentors that teach on a “Price negotiating” mentioned that setting up a lower price drives seller’s expectations low and always end up providing inadequate service to their clients. For architectural visualization services, the classic model of negotiation does not work. Do not throw low price from the beginning, then wait for the high cost and meet in the middle. Visualizing architecture or interiors, it’s not straightforward. It is a complex task that involves a lot to take in consideration. If your project is small and requires only a few (2-3 visuals), it may be in the range of £450 up to £800 per visual which comes a total of £1350 up to £2400. But if your project is large (8 to 10 visuals) and requires a significant amount of CGI visuals to be done, you may negotiate a better price per visual for example in the range of 400 up to 650 per visual which in total is £3200 up to £6500 or a set amount for the whole project. In most cases, the bigger project is equal to better prices. Being not smart by placing a low price, actually drives the seller to think only for the money and the value provided to them. They will focus on getting the highest price possible, by providing as less as possible quality service. Nearly 80% of all architectural visualizers are aware of this cheap buyer tactic. Therefore they consider this as a being a jerk. The situation is even worst, as the seller will try you to pay their counteroffer, which acts as a satisfaction to them and signs of a weak buyer/client. Being a smart means to leverage your relationship to the best possible outcome for both parties. By paying a reasonable price doesn’t make you lose money, actually, it will bring you more value for your money, as you will become a more likeable client. Make sure, you are a fair player. By being reasonable and let your seller get something out of the deal. As mentioned above, by knowing the seller’s price in advance give you a powerful advantage, even when you are the one that pays in the end. You will know when the price is real when you hear “That is my limit, can’t go any lower.” As an exchange of service needs two sides of a deal, you should be prepared and allow the seller to make some money. This is the moment when you get value for your money. If you feel that the offer provided is not bringing you enough value, maybe is time to ask for extras or bonus. For instance, if you are offered five 3D renderings, ask for one additional rendering. Whatever you ask for as extras, it is important to ask during the negotiations. Often, these extras are triggered automatically in the seller’s mind, when you are trying to walk away from the provided offer. In return as an instinct to save the deal, the seller offers to provide value to their product in the form of something additionally for no price or at a highly discounted price. It is best to remember. Avoid negotiating hard on pricing when faced with tight deadline or project at its concept stage. Nothing can affect the pricing for architectural visualization services that bad as super tight deadlines and unclear brief or project. These three components eliminate the opportunity for you to negotiate the right price. Notable: Despite everything, If you are left without options and have no opportunity to invest in a decent budget, try to prepare the project brief at an utmost quality and ask for a comfortable deadline for your project to be completed. Negotiating on architectural visualization prices as a client can be intimidating, especially if you are not experienced; therefore you should pay attention to a few aspects when negotiating. What is your deadline, when you can submit your documents? By having answered those, you will make the negotiation easy, as the visualizing company will have more understanding about the project and its constraints. Never throw a low price at the beginning of negotiating architectural visualization visuals. Know your limits and budget. Be reasonable and ask the company if they could provide extra value for your architectural visualization project. Bring off-plan or under refurbishing project to life with our 3D photorealistic animation service. Available for a variety of plans and design styles. An ultimate marketing tool for selling projects. The price give is for 20 seconds clip.